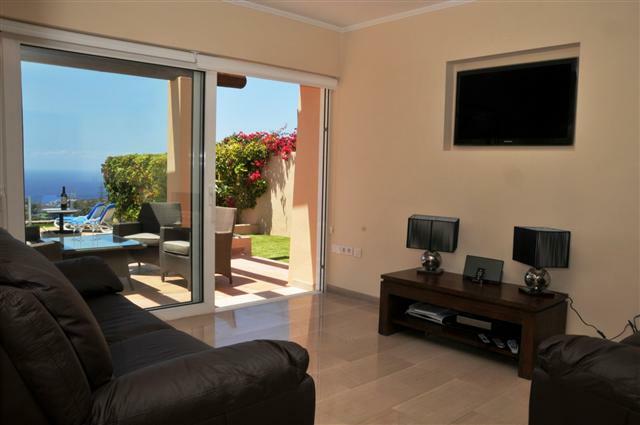 luxury detached 3 bedroom property is situated in the Stunning area of Costa Adeje, adjacent to the fabulous Costs Adeje golf course. Its truly stunning furnishings throughout makes this villa stand out from the rest. You enter the villa from ground floor level which consists of luxury air conditioned lounge with 2 x Leather sofas and dining area which has 6 matching leather chairs and is complimented with a large widescreen plasma with British terrestorial TV channels, DVD players, Hi fi etc, there are patio doors which lead out to the stunning pool and terrace. The Luxury modern Kitchen has granite work surfaces, dishwasher and everything you need in a sophisticated home. This level also provides a separate WC. The 1st floor consists of 3 bedrooms all with en suite. Bedroom one and two has double beds and balcony overlooking the terrace and sea views, bedroom 3 has twin beds. All bedrooms are air conditioned and have luxury fitted wardrobes. The En Suites consist of walk in showers, handbasins and WC. There is also a safe installed for your private use. The villa offers free WIFI on this villa. Although this villa has 3 bedrooms we only allow up to 4 guests at any time. 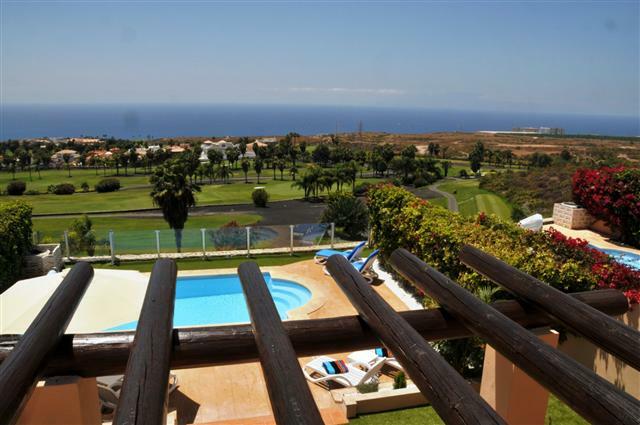 The outside of the villa has stunning views of the Golf course and sea. You will never get views like this any where else (10/10). The lawned terrace has 6 sun loungers with mattresses for you to use and an outdoor shower. There is outside seating under a shaded pergola with a stylish table and chairs for 6 people. .The Swimming pool is only heated in the winter months end October to end of April to a 28 Degrees in temperature. The pool is 8m x 4m in size and is 1.00 to 1.40 m in depth and has roman steps to walk into. There is also a purpose built BBQ for your enjoyment. There is a private drive at the front of the villa for those that hire a car. This remarkable villa is everything you want and more and is very good value for money. The manager of this property lives nearby. He is on hand at all times in case of any unforeseen matters. The manager also maintains the property on a regular basis in order to keep the villa to a high standard throughout. You will be greeted on arrival to be shown around the villa and to give general advice regarding the local area. We would also like to mention that the villa is in a very quiet area therefore there is no building work going on. Situated just a few miles along the cost from Playa de las Americas, the small fishing village of La Caleta has in more recent years seen a boom in Hotel developments (such as the Sheraton La Caleta & the Costa Adeje Palace) and upmarket private developments however the beautiful harbour and heart of the fishing village has been relatively untouched. Truly a fantastic location for all your needs and with the added bonus of lovely views. Fantastic location with great views, Siam park is a 10 minute drive away along with the Aqua water park. Car is highly recommended. The nearest Shops, Restaurants, Bars, supermarkets etc are a 5 minute drive away. 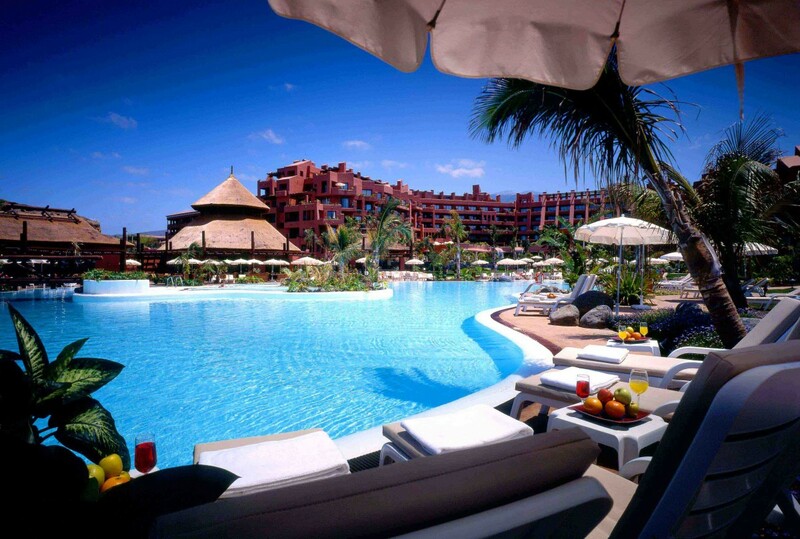 La Caleta is an up and coming resort which is on the fashionable Costa Adeje coast. Just 15 minutes from the airport and a short walk form the famous Adeje Golf Course and prestigious Hotel d&apos;El Duque. La Caleta has a selection of charming restaurants and shops and is 10 minutes from the night life of Playa de Las Americas.